I was a weird kid. Sometimes my imagination really got the best of me. Before we moved from Pennsylvania to North Carolina, when I was about four or five years old, my parents talked about foxes, rabid foxes that is, and how numerous they had become. According to what they read in the newspaper, rabid foxes had invaded the city streets of Philadelphia. Well, that IS ominous news, even for adults. Of course, I had no idea what rabies was, but I did absorb the feelings of my parents about the danger foxes were to people. Naturally, foxes became a source of fear for me. Their size, in my imagination, grew into mammoth proportions. Somehow I developed the idea that foxes sought out people, especially children, to prey upon and eat. Although I’m certain Mom wanted to reassure me that she would let nothing harm me, it validated for me that foxes were definitely something to fear. I wouldn’t sleep without a night light. In those days, we had a little amusement park nearby. It had a small zoo, mostly comprised of animals from the wilds of North Carolina. Pop was concerned about my fear of foxes. He said I was building “straw men” and then becoming afraid of them. I didn’t really know what he meant back then. Anyway, the family went on a trip to Airport Park one evening, and Pop took me to see my monster, or straw man, in the flesh. I was terrified. And then I saw it…a sweet little fox only a little bigger than a house cat. What a relief! 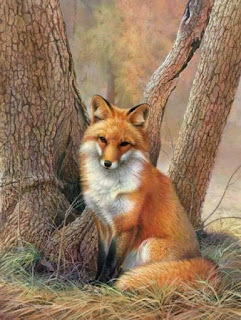 The nightmares stopped after that and I began to love foxes. They became a kind of special symbol to me. When my husband and I bought my first house, Pop gave me a framed limited edition of a fox print to hang on the wall and a brass door knocker shaped like a fox. The reason I wanted to share this story from my personal history was to show how a budding writer might very well start with a big imagination and empathy. It may not be obvious back in their early years, but later on, kids just might start telling stories and then writing them because they have those two qualities already in place just begging to come out. Were you a kid with a big imagination? Did you build “straw men” and then get scared? Did you sense other peoples’ feelings? When did you realize you wanted to become a writer? 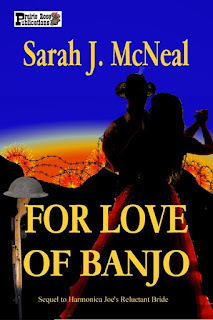 Today I'm at The Sweethearts of the West blog. I wrote this article about who really shot Johnny Ringo in 2013, and although I've never reposted an article before, I particularly liked that this bit of history remains a mystery today. The cold burned her cheeks, and made her feet numb. Horses whinnied in the pasture and a dog barked from somewhere behind the barn. The sun blazed in magenta streaks as it set beyond the hills to tint the world in a rosy, heavenly light. 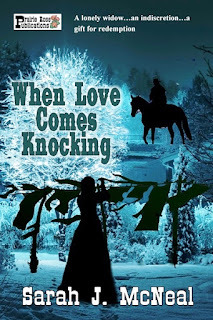 He let go of the reins, encircled her waist with both arms and held her. She moved her hands beneath the warm folds of his long, wool coat to warm them against the fabric of his shirt that lay as a thin barrier between her hands and his skin. The sensual warmth of his nearness made her heart quicken its pace. “I want people I can call my loved ones,” he added. His warm breath moved a loose stand of hair near her ear that tickled her neck. From where they stood near the front porch of Maggie’s home, Maggie could see the thread of road that led to the Wilding ranch—her next-door neighbors, and Banjo’s self-proclaimed family. The Wilding ranch spread out over five hundred acres of green hills dotted with horses and cattle in the summer. 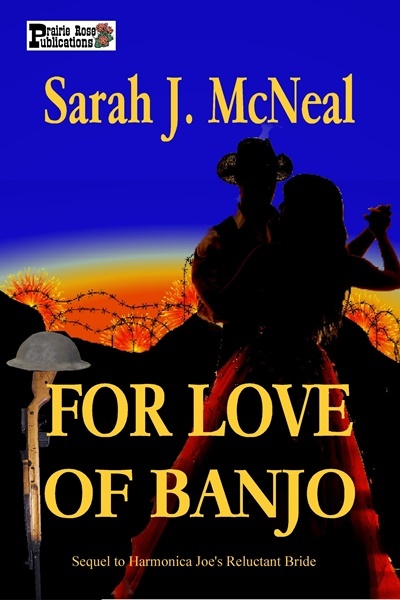 It looked like a typical Wyoming ranch to anyone who saw it, but inside that white washed ranch house lived the closest thing Banjo had ever had to family. SWEET TEXAS CHRISTMAS/ A Christmas Visitor #blogabookscene and #PrairieRosePub. January’s theme is Baby, It’s cold outside. 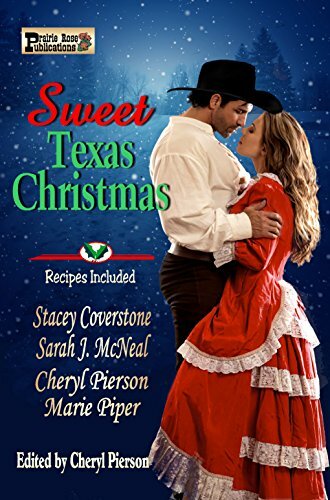 The snowy excerpt below is from my western romance short story, A Christmas Visitor included in the anthology SWEET TEXAS CHRISTMAS. 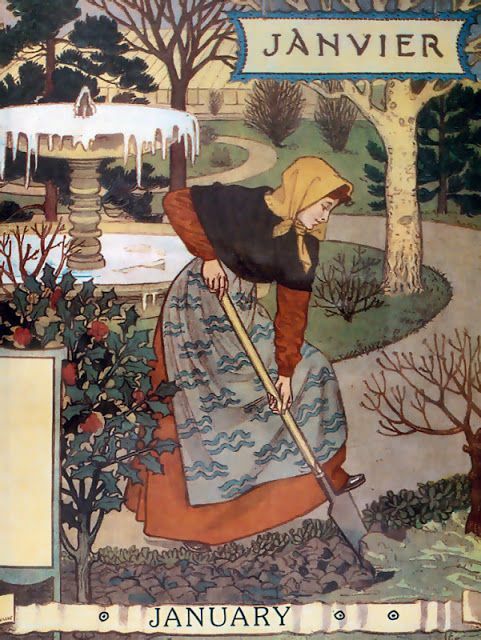 Matilda swept the floor for the second time that morning to give herself something to occupy her instead of thinking about the tall, handsome Sterling Thoroughgood. 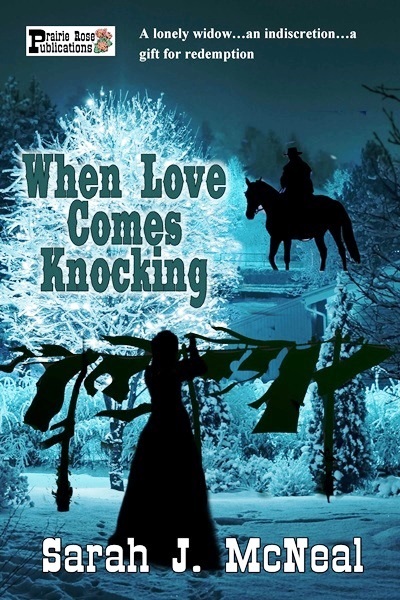 She recalled the sight of him standing tall and slender with wide shoulders in his long black coat and the broad-rimed hat with that light dusting of snow gathering on both his hat and coat. His dark hair and brown eyes framed his strong, angular face and all those memories came back to her—memories of those warm lips on hers and whispers of endearments. They were all lies, every single one. Matilda sighed a heavy breath. And why in tarnation does he have to be so handsome? It’s just not fair. A glance in the mirror from her bedroom as she walked by into the kitchen told her that her dress was shabby and worn. Her light brown hair tied back in a tight chignon at the base of her neck made her look severe and old. What does it matter? He’ll be gone come morning and I’ll probably never see him again anyway. The house was ghostly quiet as she cleaned away every remnant of her life there. As she worked, she took her time to touch and smell, and remember her life, her father, and Sterling. She let the fire go out in the stove. Once she swept the old plank floor to make the house presentable to the new owner, her home of twenty two years became a stranger’s house to her. The weight of her feelings were almost too heavy to bear. Instead, she grew numb to them. Two hours later, she shut the door on her previous life, leaned her head against the heavy wood of the portal, and said goodbye. It didn’t take her long to pack up Hector with what little remained of her belongings and then rode into Sunray to Mrs. Pritchard’s Boarding House. The attic room where she would reside was nothing like she imagined. Instead of a quiet, cozy little nook where she could find peace and solitude, she found a dark, cold attic with a sheet hung from a clothesline to claim a small space with a cot and a washstand with a pitcher, a basin, and a single candle on it to call a room. The unfinished walls had openings where the wind blew through and the rafters offered little to cheer the place. There was no fireplace or stove for heat. Thank goodness she had plenty of blankets and her mother’s quilt to keep her warm in the dank, gloomy space. With record cold temperatures right now, this is the perfect theme for this January day. It was a relief to get inside the warm house. Gil set the basket by the door and helped Penelope remove her coat. The coat was one of Evan’s old ones. She must have tailored it to fit her. Why didn’t she have a coat? The sorry answer came to him quickly enough; Evan spent the money on gambling. He hung his coat on the wooden peg by the door and stared at the two coats hanging there together, and for a moment, got lost in a daydream. If only her coat was always next to mine. He shook the thought quickly from his mind. Penelope poured him a cup of coffee and added a generous slice of pie onto a chipped pink plate. “I appreciate all the help you’ve been. I wish I could do more for you than mend and wash your clothes.” She sat opposite from him and sipped on her coffee. “No need for that. You do enough—more than enough. I don’t like to see you out in this weather hanging up clothes. You risk frostbite and the clothes freeze on the line.” He grinned as he prepared to tell her his plan. June Wingate has just married the man of her dreams only to overhear a conversation at her wedding reception regarding the truth about why he married her and that her marriage is a pretense. Her heart and trust are broken. The newly elected mayor of Hazard, Kit Wilding, needs a wife because the town demands that their mayor be a married man. 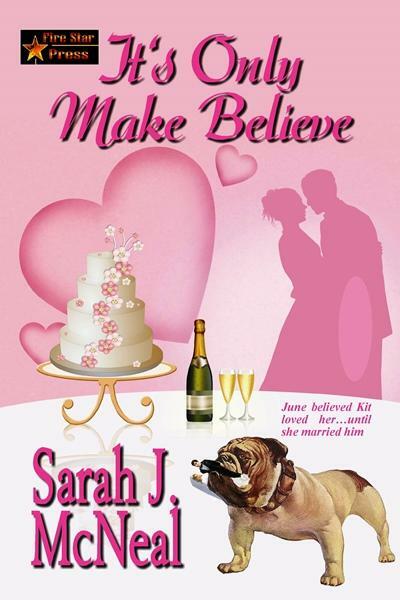 He trusts June, but now that they’re married, his wife has become distant and secretive. Kit wants to fix things. He is not the kind of man to give up easily. So we begin a new year filled with new and unexpected challenges, some happiness, and an occasional sadness. But all these experiences and events that test us make us stronger, wiser, and compassionate. It isn't always easy standing here on the threshold of a new year facing the inevitable challenges that will come our way, but we will do it and we will find satisfaction and hope in each of our accomplishments and find our strength in overcoming adversity. Welcome 2018!